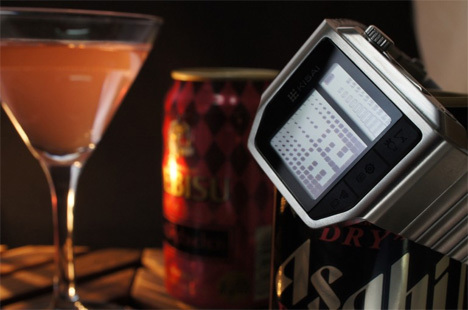 Wristwatch mavericks Tokyoflash have created a discreet way to check your blood-alcohol level for those times you had one (or two) too many pints. It is built into a wristwatch, and it’s not just a calculable chart. 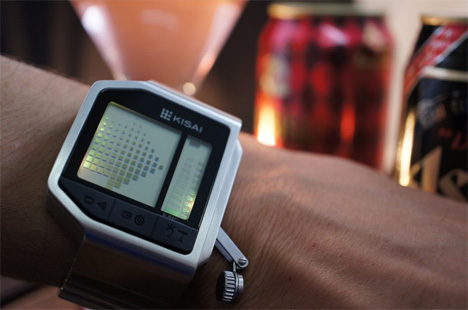 It’s called the Kisai Intoxicated and it includes a fully-functional breathalyzer. After the air port is revealed from a cap on the side of the watch, it only takes one button push and five seconds of expelling air to reveal whether or not you need to hand over your keys. Unfortunately, its accuracy is not guaranteed. The Tokyoflash website even has a ‘for entertainment purposes only’ disclaimer. 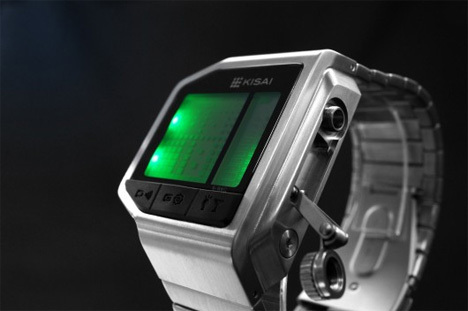 One of the cooler aspects of the watch (aside from the display; Tokyoflash is famous for using post-modern ways to show you the time) is the game that comes programmed into the watch. It consists of a vertical line moving laterally. The goal is to stop it to line up with a marker in the center. It’s like a personal field sobriety test! 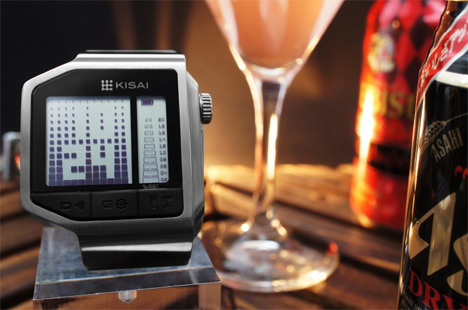 Even if it’s not officially accurate, the Kisai Intoxicated wristwatch raises awareness. If you’re highly intoxicated and have the mind to use this gadget, you would probably realize just how drunk you are. Now hail that cab!